Turbocharging an engine opens the flood gates to performance and adds more horsepower and potential than any ?bolt-on ? you can imagine. 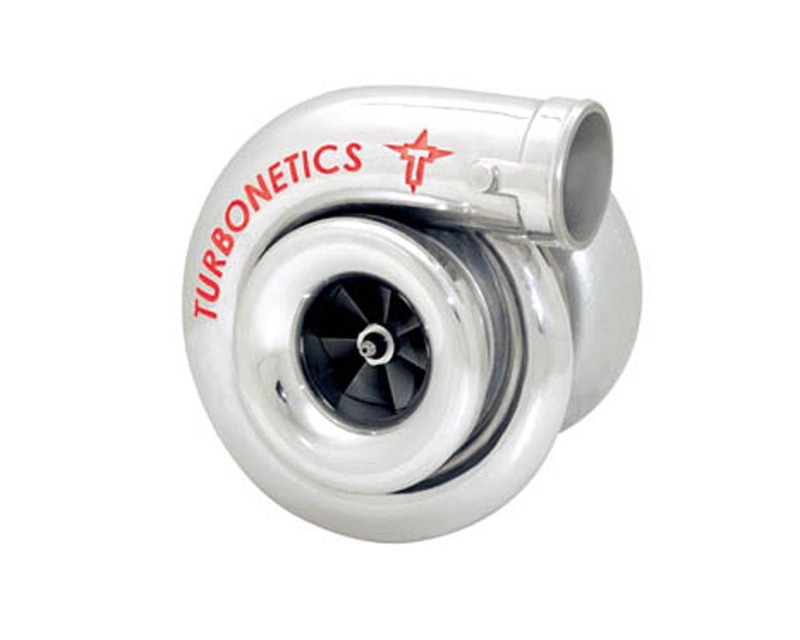 Turbonetics is known throughout the industry for their top quality precision turbochargers. Turbonetics experience manufacturing turbocharger systems for industrial applications in the mining industry means they have accumulated the data to manufacture a turbo that will perform under extreme conditions. All of their turbochargers are manufactured with all around efficiency and performance in mind and undergo vigorous testing to ensure maximum performance and reliability are attained. Whoever said ?size doesn ?t matter ? did not work with Turbonetics R&D department to develop the Super Thumper line of turbochargers. Sized from 91mm all the way up to our 115mm model, these turbos are meant to move massive amounts of air for huge horsepower. Rated to make 1400 HP starting with the 91mm all the way up to 2400HP with the 115mm, this family of turbos comes standard with Turbonetics Ceramic Ball Bearing option and huge 7/16 ? shaft size for maximum durability. Heat is a turbochargers enemy, too much is the biggest strain on a turbo and can often cause them to fail, especially larger turbos such as the Thumper series. Thats why Turbonetics Thumper series feature ceramic ball bearings. Ceramic ball bearings are more resistant to heat meaning a more reliable, better performing, longer lasting turbocharger. Since 1978, Turbonetics has been a leading source for OEM and aftermarket forced induction systems and components. Turbonetics is a world class small-to-medium volume OE and aftermarket manufacturer of turbochargers, heat exchangers, and pressure control components for customers in the industrial, military, and motorsport sectors. All Turbonetics products are designed and manufactured in house, deliver best-in-class performance and outstanding durability. With complete in house design and engineering capabilities, Turbonetics works closely with customers to develop unique solutions for any forced induction challenges. Turbonetics specializes in one-off parts to medium level production up to 10,000 units per year.